Hunters are delighted to offer this FULLY MODERNISED MATURE BRICK BUILT SEMI DETACHED HOUSE which has new carpets throughout. The property is situated in a convenient and popular location, within 600 metres of local schools, regular bus routes and local shops. This individual first floor DUPLEX APARTMENT forms a part of the stunning GRADE II LISTED property, situated within Farsley park grounds and gardens. 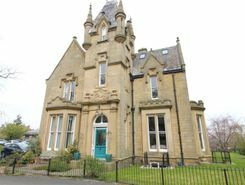 West Royd Hall has been sympathetically converted into 8 individual apartments, all sharing an impressive VICTORIAN ENTRANCE with the original balustrade with period features. Hunters are delighted to offer this VERY WELL PRESENTED modern style DETACHED HOUSE in a small cul-de-sac position close to the village centre. 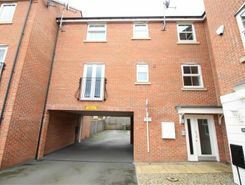 The property has been expertly altered and extended and will appeal to a couple or a young family. HUNTERS are thrilled to offer to market this THREE BEDROOMED STONE DETACHED COTTAGE, located in a popular residential area of Pudsey. 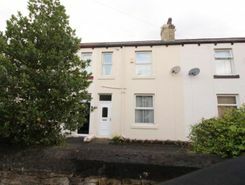 Close to local amenities, and great transport links to both Leeds and Bradford. TERRACED HOUSE WITH A COTTAGE FEEL- THIS TWO BEDROOM THROUGH TERRACE IS LOCATED CLOSE TO CALVERLEY PARK AND IN A QUIET LOCATION. 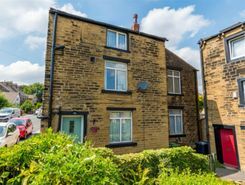 Property website TheHouseShop have used their expert knowledge of the Pudsey in West Yorkshire property market to help buyers, sellers, tenants and landlords save money when advertising and searching for property available online. Property marketplace, TheHouseShop.com, showcases property listings from private landlords, private sellers, high street agents, online agents and developers – meaning that tenants and buyers can find a unique selection of property from both professionals and homeowners. Sellers using TheHouseShop can choose to advertise their property themselves, or compare local and online-only agents to help sell their property for them. 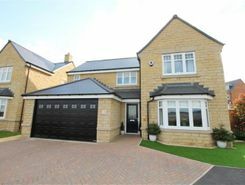 Homeowners in Pudsey in West Yorkshire can save thousands of pounds by selling their own home on TheHouseShop.com. 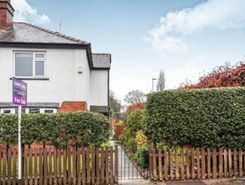 Private house sales are popular with Pudsey in West Yorkshire homeowners who have been using the internet to sell property online for many years now. TheHouseShop can arrange a free professional property valuation from a local property manager with expert knowledge of the Pudsey in West Yorkshire market – helping you to set the perfect price for your property. Private landlords and sellers can make use of TheHouseShop's marketing options to generate more exposure for their property and quickly find the right buyer or tenant. Thanks to TheHouseShop, homeowners in Pudsey in West Yorkshire can save time and money by advertising their properties to thousands of motivated users on the UK's leading property marketplace. If you are selling or letting a property in Pudsey in West Yorkshire, TheHouseShop is a must-see platform for both private sellers and private landlords. TheHouseShop also works with thousands of Pudsey in West Yorkshire's best estate agents to help market their properties to a huge audience of motivated buyers and renters. 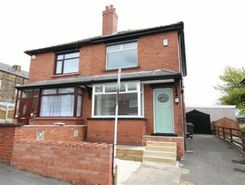 If you are looking for property for sale in Pudsey in West Yorkshire, TheHouseShop has a huge selection of homes available to buy including flats, apartments, detached houses, bungalows, maisonettes, terraced houses and more. TheHouseShop combines both private and professional listings so you can find unique Pudsey in West Yorkshire properties that won't appear on other agent-only property websites like Rightmove and Zoopla. So don't miss out on the home of your dreams and make sure that you visit TheHouseShop.com and sign up for property alerts to keep up to date with the latest new listings. 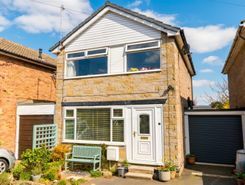 Choosing the best estate agent in Pudsey in West Yorkshire to sell your home is important and TheHouseShop can help homeowners compare Pudsey in West Yorkshire estate agents and make an informed decision on how to sell their home. Property marketplace TheHouseShop attracts tens of thousands of buyers who are looking to buy property in Pudsey in West Yorkshire and the surrounding areas every day. Disabled home hunters can use TheHouseShop.com to search for wheelchair accessible and adapted homes for sale in Pudsey in West Yorkshire and the surrounding areas. 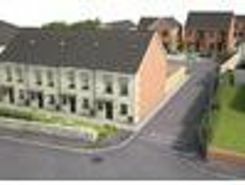 TheHouseShop showcases accessible properties and new homes for sale from some of the foremost property developers in Pudsey in West Yorkshire. Buyers can use TheHouseShop to find a huge selection of affordable homes for sale. 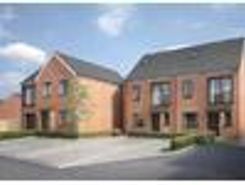 Buyers looking for affordable homes can find a variety of new homes for sale in Pudsey in West Yorkshire available through Shared Ownership schemes. TheHouseShop's free online valuation tool allows buyers to get an estimated house price value for any property in Pudsey in West Yorkshire and make sure that they pay the right price for any property they are interested in. Whether you want to buy, sell, rent or let property in Pudsey in West Yorkshire, TheHouseShop is your one stop shop for all your property needs.